Christiana Musgrove Died of Ulceration of the Mucous Membrane at 29 years old. 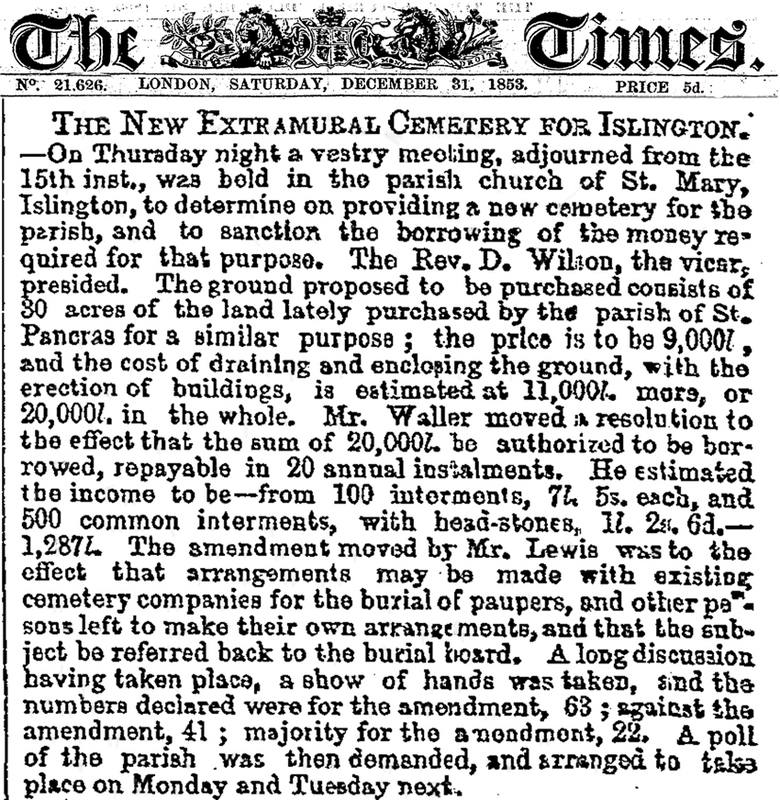 She was buried at The St Pancras and Islington Cemetry in a public grave, this means she was buried with others. Notice the grave number is duplicated. This is not a paupers grave or a private grave its in between. The map below dates from 1871 and shows Georges Road Holloway where Christiana died. Unfortunately the area is totally redeveloped. 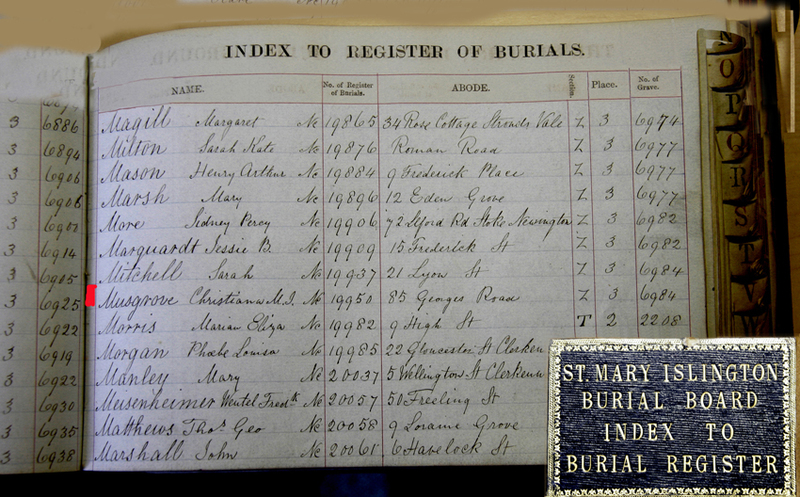 We estimate the house was on the south side of Georges Road opposite Hope Strret to James Street. We are still uncertain why Christiana Musgrove was living here when she died. Interestingly many years later George's daughter Emily (from his second wife) lived in a house in Eden Grove with her husband George Ruff and their two children. Notice George is still a railway porter so it would appear he hasn't had any money yet. The cemetery couldn't give us a date for the funeral.